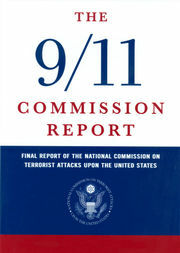 The National Commission on Terrorist Attacks Upon the United States, also known as the 9/11 Commission, was set up in late 2002 "to prepare a full and complete account of the circumstances surrounding the September 11, 2001 attacks", including preparedness for and the immediate response to the attacks. The Commission was also mandated to provide recommendations designed to guard against future attacks. Chaired by former New Jersey Governor Thomas Kean, the Commission was comprised of five Democrats and five Republicans. The Commission was created by Congressional legislation, with the bill signed into law by President George W. Bush. We present the narrative of this report and the recommendations that flow from it to the President of the United States, the United States Congress, and the American people for their consideration. 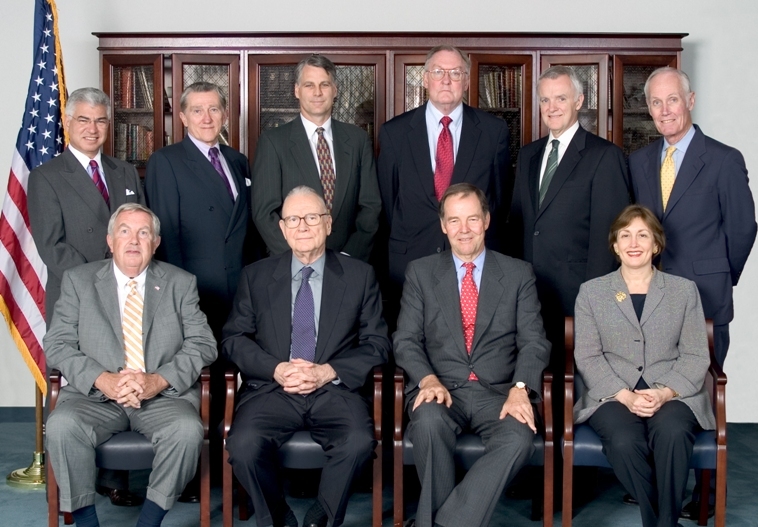 Ten Commissioners-five Republicans and five Democrats chosen by elected leaders from our nation's capital at a time of great partisan division-have come together to present this report without dissent. We have come together with a unity of purpose because our nation demands it. September 11, 2001, was a day of unprecedented shock and suffering in the history of the United States. The nation was unprepared. At 8:46 on the morning of September 11, 2001, the United States became a nation transformed. An airliner traveling at hundreds of miles per hour and carrying some 10,000 gallons of jet fuel plowed into the North Tower of the World Trade Center in Lower Manhattan. At 9:03, a second airliner hit the South Tower. Fire and smoke billowed upward. Steel, glass, ash, and bodies fell below. The Twin Towers, where up to 50,000 people worked each day, both collapsed less than 90 minutes later. This immeasurable pain was inflicted by 19 young Arabs acting at the behest of Islamist extremists headquartered in distant Afghanistan. Some had been in the United States for more than a year, mixing with the rest of the population. Though four had training as pilots, most were not well-educated. Most spoke English poorly, some hardly at all. In groups of four or five, carrying with them only small knives, box cutters, and cans of Mace or pepper spray, they had hijacked the four planes and turned them into deadly guided missiles. Why did they do this? How was the attack planned and conceived? How did the U.S. government fail to anticipate and prevent it? What can we do in the future to prevent similar acts of terrorism? The 9/11 attacks were a shock, but they should not have come as a surprise. Islamist extremists had given plenty of warning that they meant to kill Americans indiscriminately and in large numbers. Although Usama Bin Ladin himself would not emerge as a signal threat until the late 1990s, the threat of Islamist terrorism grew over the decade. In February 1993, a group led by Ramzi Yousef tried to bring down the World Trade Center with a truck bomb. They killed six and wounded a thousand. Plans by Omar Abdel Rahman and others to blow up the Holland and Lincoln tunnels and other New York City landmarks were frustrated when the plotters were arrested. In October 1993, Somali tribesmen shot down U.S. helicopters, killing 18 and wounding 73 in an incident that came to be known as "Black Hawk down." Years later it would be learned that those Somali tribesmen had received help from al Qaeda. In early 1995, police in Manila uncovered a plot by Ramzi Yousef to blow up a dozen U.S. airliners while they were flying over the Pacific. In November 1995, a car bomb exploded outside the office of the U.S. program manager for the Saudi National Guard in Riyadh, killing five Americans and two others. In June 1996, a truck bomb demolished the Khobar Towers apartment complex in Dhahran, Saudi Arabia, killing 19 U.S. servicemen and wounding hundreds. The attack was carried out primarily by Saudi Hezbollah, an organization that had received help from the government of Iran. Until 1997, the U.S. intelligence community viewed Bin Ladin as a financier of terrorism, not as a terrorist leader. In February 1998, Usama Bin Ladin and four others issued a self-styled fatwa, publicly declaring that it was God's decree that every Muslim should try his utmost to kill any American, military or civilian, anywhere in the world, because of American "occupation" of Islam's holy places and aggression against Muslims. In August 1998, Bin Ladin's group, al Qaeda, carried out near-simultaneous truck bomb attacks on the U.S. embassies in Nairobi, Kenya, and Dar es Salaam, Tanzania. The attacks killed 224 people, including 12 Americans, and wounded thousands more. In December 1999, Jordanian police foiled a plot to bomb hotels and other sites frequented by American tourists, and a U.S. Customs agent arrested Ahmed Ressam at the U.S. Canadian border as he was smuggling in explosives intended for an attack on Los Angeles International Airport. In October 2000, an al Qaeda team in Aden, Yemen, used a motorboat filled with explosives to blow a hole in the side of a destroyer, the USS Cole, almost sinking the vessel and killing 17 American sailors. The 9/11 attacks on the World Trade Center and the Pentagon were far more elaborate, precise, and destructive than any of these earlier assaults. But by September 2001, the executive branch of the U.S. government, the Congress, the news media, and the American public had received clear warning that Islamist terrorists meant to kill Americans in high numbers. Who is this enemy that created an organization capable of inflicting such horrific damage on the United States? We now know that these attacks were carried out by various groups of Islamist extremists. The 9/11 attack was driven by Usama Bin Ladin. In the 1980s, young Muslims from around the world went to Afghanistan to join as volunteers in a jihad (or holy struggle) against the Soviet Union. A wealthy Saudi, Usama Bin Ladin, was one of them. Following the defeat of the Soviets in the late 1980s, Bin Ladin and others formed al Qaeda to mobilize jihads elsewhere. Upon this political and ideological foundation, Bin Ladin built over the course of a decade a dynamic and lethal organization. He built an infrastructure and organization in Afghanistan that could attract, train, and use recruits against ever more ambitious targets. He rallied new zealots and new money with each demonstration of al Qaeda's capability. He had forged a close alliance with the Taliban, a regime providing sanctuary for al Qaeda. The August 1998 bombings of U.S. embassies in Kenya and Tanzania established al Qaeda as a potent adversary of the United States. After launching cruise missile strikes against al Qaeda targets in Afghanistan and Sudan in retaliation for the embassy bombings, the Clinton administration applied diplomatic pressure to try to persuade the Taliban regime in Afghanistan to expel Bin Ladin. The administration also devised covert operations to use CIA-paid foreign agents to capture or kill Bin Ladin and his chief lieutenants. These actions did not stop Bin Ladin or dislodge al Qaeda from its sanctuary. By late 1998 or early 1999, Bin Ladin and his advisers had agreed on an idea brought to them by Khalid Sheikh Mohammed (KSM) called the "planes operation." It would eventually culminate in the 9/11 attacks. Bin Ladin and his chief of operations, Mohammed Atef, occupied undisputed leadership positions atop al Qaeda. Within al Qaeda, they relied heavily on the ideas and enterprise of strong-willed field commanders, such as KSM, to carry out worldwide terrorist operations. KSM claims that his original plot was even grander than those carried out on 9/11-ten planes would attack targets on both the East and West coasts of the United States. This plan was modified by Bin Ladin, KSM said, owing to its scale and complexity. Bin Ladin provided KSM with four initial operatives for suicide plane attacks within the United States, and in the fall of 1999 training for the attacks began. New recruits included four from a cell of expatriate Muslim extremists who had clustered together in Hamburg, Germany. One became the tactical commander of the operation in the United States: Mohamed Atta. U.S. intelligence frequently picked up reports of attacks planned by al Qaeda. Working with foreign security services, the CIA broke up some al Qaeda cells. The core of Bin Ladin's organization nevertheless remained intact. In December 1999, news about the arrests of the terrorist cell in Jordan and the arrest of a terrorist at the U.S.-Canadian border became part of a "millennium alert." The government was galvanized, and the public was on alert for any possible attack. In January 2000, the intense intelligence effort glimpsed and then lost sight of two operatives destined for the "planes operation." Spotted in Kuala Lumpur, the pair were lost passing through Bangkok. On January 15, 2000, they arrived in Los Angeles. Because these two al Qaeda operatives had spent little time in the West and spoke little, if any, English, it is plausible that they or KSM would have tried to identify, in advance, a friendly contact in the United States. We explored suspicions about whether these two operatives had a support network of accomplices in the United States. The evidence is thin-simply not there for some cases, more worrisome in others. We do know that soon after arriving in California, the two al Qaeda operatives sought out and found a group of ideologically like-minded Muslims with roots in Yemen and Saudi Arabia, individuals mainly associated with a young Yemeni and others who attended a mosque in San Diego. After a brief stay in Los Angeles about which we know little, the al Qaeda operatives lived openly in San Diego under their true names. They managed to avoid attracting much attention. By the summer of 2000, three of the four Hamburg cell members had arrived on the East Coast of the United States and had begun pilot training. In early 2001, a fourth future hijacker pilot, Hani Hanjour, journeyed to Arizona with another operative, Nawaf al Hazmi, and conducted his refresher pilot training there. A number of al Qaeda operatives had spent time in Arizona during the 1980s and early 1990s. During 2000, President Bill Clinton and his advisers renewed diplomatic efforts to get Bin Ladin expelled from Afghanistan. They also renewed secret efforts with some of the Taliban's opponents-the Northern Alliance-to get enough intelligence to attack Bin Ladin directly. Diplomatic efforts centered on the new military government in Pakistan, and they did not succeed. The efforts with the Northern Alliance revived an inconclusive and secret debate about whether the United States should take sides in Afghanistan's civil war and support the Taliban's enemies. The CIA also produced a plan to improve intelligence collection on al Qaeda, including the use of a small, unmanned airplane with a video camera, known as the Predator. After the October 2000 attack on the USS Cole, evidence accumulated that it had been launched by al Qaeda operatives, but without confirmation that Bin Ladin had given the order. The Taliban had earlier been warned that it would be held responsible for another Bin Ladin attack on the United States. The CIA described its findings as a "preliminary judgment"; President Clinton and his chief advisers told us they were waiting for a conclusion before deciding whether to take military action. The military alternatives remained unappealing to them. Bin Ladin's inference may well have been that attacks, at least at the level of the Cole, were risk free. The Bush administration began developing a new strategy with the stated goal of eliminating the al Qaeda threat within three to five years. Although Bin Ladin was determined to strike in the United States, as President Clinton had been told and President Bush was reminded in a Presidential Daily Brief article briefed to him in August 2001, the specific threat information pointed overseas. Numerous precautions were taken overseas. Domestic agencies were not effectively mobilized. The threat did not receive national media attention comparable to the millennium alert. While the United States continued disruption efforts around the world, its emerging strategy to eliminate the al Qaeda threat was to include an enlarged covert action program in Afghanistan, as well as diplomatic strategies for Afghanistan and Pakistan. The process culminated during the summer of 2001 in a draft presidential directive and arguments about the Predator aircraft, which was soon to be deployed with a missile of its own, so that it might be used to attempt to kill Bin Ladin or his chief lieutenants. At a September 4 meeting, President Bush's chief advisers approved the draft directive of the strategy and endorsed the concept of arming the Predator. This directive on the al Qaeda strategy was awaiting President Bush's signature on September 11, 2001. Though the "planes operation" was progressing, the plotters had problems of their own in 2001. Several possible participants dropped out; others could not gain entry into the United States (including one denial at a port of entry and visa denials not related to terrorism). One of the eventual pilots may have considered abandoning the planes operation. Zacarias Moussaoui, who showed up at a flight training school in Minnesota, may have been a candidate to replace him. Some of the vulnerabilities of the plotters become clear in retrospect. Moussaoui aroused suspicion for seeking fast-track training on how to pilot large jet airliners. He was arrested on August 16, 2001, for violations of immigration regulations. In late August, officials in the intelligence community realized that the terrorists spotted in Southeast Asia in January 2000 had arrived in the United States. These cases did not prompt urgent action. No one working on these late leads in the summer of 2001 connected them to the high level of threat reporting. In the words of one official, no analytic work foresaw the lightning that could connect the thundercloud to the ground. As final preparations were under way during the summer of 2001, dissent emerged among al Qaeda leaders in Afghanistan over whether to proceed. The Taliban's chief, Mullah Omar, opposed attacking the United States. Although facing opposition from many of his senior lieutenants, Bin Ladin effectively overruled their objections, and the attacks went forward. The day began with the 19 hijackers getting through a security checkpoint system that they had evidently analyzed and knew how to defeat. Their success rate in penetrating the system was 19 for 19.They took over the four flights, taking advantage of air crews and cockpits that were not prepared for the contingency of a suicide hijacking. On 9/11, the defense of U.S. air space depended on close interaction between two federal agencies: the Federal Aviation Administration (FAA) and North American Aerospace Defense Command (NORAD). Existing protocols on 9/11 were unsuited in every respect for an attack in which hijacked planes were used as weapons. What ensued was a hurried attempt to improvise a defense by civilians who had never handled a hijacked aircraft that attempted to disappear, and by a military unprepared for the transformation of commercial aircraft into weapons of mass destruction. A shootdown authorization was not communicated to the NORAD air defense sector until 28 minutes after United 93 had crashed in Pennsylvania. Planes were scrambled, but ineffectively, as they did not know where to go or what targets they were to intercept. And once the shootdown order was given, it was not communicated to the pilots. In short, while leaders in Washington believed that the fighters circling above them had been instructed to "take out" hostile aircraft, the only orders actually conveyed to the pilots were to "ID type and tail." Like the national defense, the emergency response on 9/11 was necessarily improvised. In New York City, the Fire Department of New York, the New York Police Department, the Port Authority of New York and New Jersey, the building employees, and the occupants of the buildings did their best to cope with the effects of almost unimaginable events-unfolding furiously over 102 minutes. Casualties were nearly 100 percent at and above the impact zones and were very high among first responders who stayed in danger as they tried to save lives. Despite weaknesses in preparations for disaster, failure to achieve unified incident command, and inadequate communications among responding agencies, all but approximately one hundred of the thousands of civilians who worked below the impact zone escaped, often with help from the emergency responders. At the Pentagon, while there were also problems of command and control, the emergency response was generally effective. The Incident Command System, a formalized management structure for emergency response in place in the National Capital Region, overcame the inherent complications of a response across local, state, and federal jurisdictions. We write with the benefit and handicap of hindsight. We are mindful of the danger of being unjust to men and women who made choices in conditions of uncertainty and in circumstances over which they often had little control. not hardening aircraft cockpit doors or taking other measures to prepare for the possibility of suicide hijackings. Since the plotters were flexible and resourceful, we cannot know whether any single step or series of steps would have defeated them. What we can say with confidence is that none of the measures adopted by the U.S. government from 1998 to 2001 disturbed or even delayed the progress of the al Qaeda plot. Across the government, there were failures of imagination, policy, capabilities, and management. Al Qaeda's new brand of terrorism presented challenges to U.S. governmental institutions that they were not well-designed to meet. Though top officials all told us that they understood the danger, we believe there was uncertainty among them as to whether this was just a new and especially venomous version of the ordinary terrorist threat the United States had lived with for decades, or it was indeed radically new, posing a threat beyond any yet experienced. As late as September 4, 2001, Richard Clarke, the White House staffer long responsible for counterterrorism policy coordination, asserted that the government had not yet made up its mind how to answer the question: "Is al Qida a big deal?" Terrorism was not the overriding national security concern for the U.S. government under either the Clinton or the pre-9/11 Bush administration. The policy challenges were linked to this failure of imagination. Officials in both the Clinton and Bush administrations regarded a full U.S. invasion of Afghanistan as practically inconceivable before 9/11. Before 9/11, the United States tried to solve the al Qaeda problem with the capabilities it had used in the last stages of the Cold War and its immediate aftermath. These capabilities were insufficient. Little was done to expand or reform them. The CIA had minimal capacity to conduct paramilitary operations with its own personnel, and it did not seek a large-scale expansion of these capabilities before 9/11. The CIA also needed to improve its capability to collect intelligence from human agents. At no point before 9/11 was the Department of Defense fully engaged in the mission of countering al Qaeda, even though this was perhaps the most dangerous foreign enemy threatening the United States. America's homeland defenders faced outward. NORAD itself was barely able to retain any alert bases at all. Its planning scenarios occasionally considered the danger of hijacked aircraft being guided to American targets, but only aircraft that were coming from overseas. The most serious weaknesses in agency capabilities were in the domestic arena. The FBI did not have the capability to link the collective knowledge of agents in the field to national priorities. Other domestic agencies deferred to the FBI. FAA capabilities were weak. Any serious examination of the possibility of a suicide hijacking could have suggested changes to fix glaring vulnerabilities-expanding no-fly lists, searching passengers identified by the CAPPS screening system, deploying federal air marshals domestically, hardening cockpit doors, alerting air crews to a different kind of hijacking possibility than they had been trained to expect. Yet the FAA did not adjust either its own training or training with NORAD to take account of threats other than those experienced in the past. The missed opportunities to thwart the 9/11 plot were also symptoms of a broader inability to adapt the way government manages problems to the new challenges of the twenty-first century. Action officers should have been able to draw on all available knowledge about al Qaeda in the government. Management should have ensured that information was shared and duties were clearly assigned across agencies, and across the foreign-domestic divide. There were also broader management issues with respect to how top leaders set priorities and allocated resources. For instance, on December 4, 1998, DCI Tenet issued a directive to several CIA officials and the DDCI for Community Management, stating: "We are at war. I want no resources or people spared in this effort, either inside CIA or the Community." The memorandum had little overall effect on mobilizing the CIA or the intelligence community. This episode indicates the limitations of the DCI's authority over the direction of the intelligence community, including agencies within the Department of Defense. The U.S. government did not find a way of pooling intelligence and using it to guide the planning and assignment of responsibilities for joint operations involving entities as disparate as the CIA, the FBI, the State Department, the military, and the agencies involved in homeland security. Beginning in February 1997, and through September 11, 2001, the U.S. government tried to use diplomatic pressure to persuade the Taliban regime in Afghanistan to stop being a sanctuary for al Qaeda, and to expel Bin Ladin to a country where he could face justice. These efforts included warnings and sanctions, but they all failed. The U.S. government also pressed two successive Pakistani governments to demand that the Taliban cease providing a sanctuary for Bin Ladin and his organization and, failing that, to cut off their support for the Taliban. Before 9/11, the United States could not find a mix of incentives and pressure that would persuade Pakistan to reconsider its fundamental relationship with the Taliban. From 1999 through early 2001, the United States pressed the United Arab Emirates, one of the Taliban's only travel and financial outlets to the outside world, to break off ties and enforce sanctions, especially those related to air travel to Afghanistan. These efforts achieved little before 9/11. Saudi Arabia has been a problematic ally in combating Islamic extremism. Before 9/11, the Saudi and U.S. governments did not fully share intelligence information or develop an adequate joint effort to track and disrupt the finances of the al Qaeda organization. On the other hand, government officials of Saudi Arabia at the highest levels worked closely with top U.S. officials in major initiatives to solve the Bin Ladin problem with diplomacy. In response to the request of policymakers, the military prepared an array of limited strike options for attacking Bin Ladin and his organization from May 1998 onward. When they briefed policymakers, the military presented both the pros and cons of those strike options and the associated risks. Policymakers expressed frustration with the range of options presented. Following the August 20, 1998, missile strikes on al Qaeda targets in Afghanistan and Sudan, both senior military officials and policymakers placed great emphasis on actionable intelligence as the key factor in recommending or deciding to launch military action against Bin Ladin and his organization. They did not want to risk significant collateral damage, and they did not want to miss Bin Ladin and thus make the United States look weak while making Bin Ladin look strong. On three specific occasions in 1998-1999, intelligence was deemed credible enough to warrant planning for possible strikes to kill Bin Ladin. But in each case the strikes did not go forward, because senior policymakers did not regard the intelligence as sufficiently actionable to offset their assessment of the risks. The Director of Central Intelligence, policymakers, and military officials expressed frustration with the lack of actionable intelligence. Some officials inside the Pentagon, including those in the special forces and the counterterrorism policy office, also expressed frustration with the lack of military action. The Bush administration began to develop new policies toward al Qaeda in 2001, but military plans did not change until after 9/11. Many dedicated officers worked day and night for years to piece together the growing body of evidence on al Qaeda and to understand the threats. Yet, while there were many reports on Bin Laden and his growing al Qaeda organization, there was no comprehensive review of what the intelligence community knew and what it did not know, and what that meant. There was no National Intelligence Estimate on terrorism between 1995 and 9/11. Before 9/11, no agency did more to attack al Qaeda than the CIA. But there were limits to what the CIA was able to achieve by disrupting terrorist activities abroad and by using proxies to try to capture Bin Ladin and his lieutenants in Afghanistan. CIA officers were aware of those limitations. To put it simply, covert action was not a silver bullet. It was important to engage proxies in Afghanistan and to build various capabilities so that if an opportunity presented itself, the CIA could act on it. But for more than three years, through both the late Clinton and early Bush administrations, the CIA relied on proxy forces, and there was growing frustration within the CIA's Counterterrorist Center and in the National Security Council staff with the lack of results. The development of the Predator and the push to aid the Northern Alliance were products of this frustration. From the time of the first World Trade Center attack in 1993, FBI and Department of Justice leadership in Washington and New York became increasingly concerned about the terrorist threat from Islamist extremists to U.S. interests, both at home and abroad. Throughout the 1990s, the FBI's counterterrorism efforts against international terrorist organizations included both intelligence and criminal investigations. The FBI's approach to investigations was case-specific, decentralized, and geared toward prosecution. Significant FBI resources were devoted to after-the-fact investigations of major terrorist attacks, resulting in several prosecutions. The FBI attempted several reform efforts aimed at strengthening its ability to prevent such attacks, but these reform efforts failed to implement organization-wide institutional change. On September 11, 2001, the FBI was limited in several areas critical to an effective preventive counterterrorism strategy. Those working counterterrorism matters did so despite limited intelligence collection and strategic analysis capabilities, a limited capacity to share information both internally and externally, insufficient training, perceived legal barriers to sharing information, and inadequate resources. violated immigration laws while in the United States. Neither the State Department's consular officers nor the Immigration and Naturalization Service's inspectors and agents were ever considered full partners in a national counterterrorism effort. Protecting borders was not a national security issue before 9/11. Hijackers studied publicly available materials on the aviation security system and used items that had less metal content than a handgun and were most likely permissible. Though two of the hijackers were on the U.S.TIPOFF terrorist watchlist, the FAA did not use TIPOFF data. The hijackers had to beat only one layer of security-the security checkpoint process. Even though several hijackers were selected for extra screening by the CAPPS system, this led only to greater scrutiny of their checked baggage. Once on board, the hijackers were faced with aircraft personnel who were trained to be nonconfrontational in the event of a hijacking. The 9/11 attacks cost somewhere between $400,000 and $500,000 to execute. The operatives spent more than $270,000 in the United States. Additional expenses included travel to obtain passports and visas, travel to the United States, expenses incurred by the plot leader and facilitators outside the United States, and expenses incurred by the people selected to be hijackers who ultimately did not participate. The conspiracy made extensive use of banks in the United States. The hijackers opened accounts in their own names, using passports and other identification documents. Their transactions were unremarkable and essentially invisible amid the billions of dollars flowing around the world every day. To date, we have not been able to determine the origin of the money used for the 9/11 attacks. Al Qaeda had many sources of funding and a pre-9/11 annual budget estimated at $30 million. If a particular source of funds had dried up, al Qaeda could easily have found enough money elsewhere to fund the attack. The civilian and military defenders of the nation's airspace-FAA and NORAD-were unprepared for the attacks launched against them. Given that lack of preparedness, they attempted and failed to improvise an effective homeland defense against an unprecedented challenge. The events of that morning do not reflect discredit on operational personnel. NORAD's Northeast Air Defense Sector personnel reached out for information and made the best judgments they could based on the information they received. Individual FAA controllers, facility managers, and command center managers were creative and agile in recommending a nationwide alert, ground-stopping local traffic, ordering all aircraft nationwide to land, and executing that unprecedented order flawlessly. At more senior levels, communication was poor. Senior military and FAA leaders had no effective communication with each other. The chain of command did not function well. The President could not reach some senior officials. The Secretary of Defense did not enter the chain of command until the morning's key events were over. Air National Guard units with different rules of engagement were scrambled without the knowledge of the President, NORAD, or the National Military Command Center. The civilians, firefighters, police officers, emergency medical technicians, and emergency management professionals exhibited steady determination and resolve under horrifying, overwhelming conditions on 9/11.Their actions saved lives and inspired a nation. Effective decisionmaking in New York was hampered by problems in command and control and in internal communications. Within the Fire Department of New York, this was true for several reasons: the magnitude of the incident was unforeseen; commanders had difficulty communicating with their units; more units were actually dispatched than were ordered by the chiefs; some units self-dispatched; and once units arrived at the World Trade Center, they were neither comprehensively accounted for nor coordinated. The Port Authority's response was hampered by the lack both of standard operating procedures and of radios capable of enabling multiple commands to respond to an incident in unified fashion. The New York Police Department, because of its history of mobilizing thousands of officers for major events requiring crowd control, had a technical radio capability and protocols more easily adapted to an incident of the magnitude of 9/11. The Congress, like the executive branch, responded slowly to the rise of transnational terrorism as a threat to national security. The legislative branch adjusted little and did not restructure itself to address changing threats. Its attention to terrorism was episodic and splintered across several committees. The Congress gave little guidance to executive branch agencies on terrorism, did not reform them in any significant way to meet the threat, and did not systematically perform robust oversight to identify, address, and attempt to resolve the many problems in national security and domestic agencies that became apparent in the aftermath of 9/11. So long as oversight is undermined by current congressional rules and resolutions, we believe the American people will not get the security they want and need. The United States needs a strong, stable, and capable congressional committee structure to give America's national intelligence agencies oversight, support, and leadership. Since 9/11, the United States and its allies have killed or captured a majority of al Qaeda's leadership; toppled the Taliban, which gave al Qaeda sanctuary in Afghanistan; and severely damaged the organization. Yet terrorist attacks continue. Even as we have thwarted attacks, nearly everyone expects they will come. How can this be? The problem is that al Qaeda represents an ideological movement, not a finite group of people. It initiates and inspires, even if it no longer directs. In this way it has transformed itself into a decentralized force. Bin Ladin may be limited in his ability to organize major attacks from his hideouts. Yet killing or capturing him, while extremely important, would not end terror. His message of inspiration to a new generation of terrorists would continue. Because of offensive actions against al Qaeda since 9/11, and defensive actions to improve homeland security, we believe we are safer today. But we are not safe. We therefore make the following recommendations that we believe can make America safer and more secure. Three years after 9/11, the national debate continues about how to protect our nation in this new era. We divide our recommendations into two basic parts: What to do, and how to do it. The enemy is not just "terrorism." It is the threat posed specifically by Islamist terrorism, by Bin Ladin and others who draw on a long tradition of extreme intolerance within a minority strain of Islam that does not distinguish politics from religion, and distorts both. The enemy is not Islam, the great world faith, but a perversion of Islam. The enemy goes beyond al Qaeda to include the radical ideological movement, inspired in part by al Qaeda, that has spawned other terrorist groups and violence. Thus our strategy must match our means to two ends: dismantling the al Qaeda network and, in the long term, prevailing over the ideology that contributes to Islamist terrorism. The first phase of our post-9/11 efforts rightly included military action to topple the Taliban and pursue al Qaeda. This work continues. But long-term success demands the use of all elements of national power: diplomacy, intelligence, covert action, law enforcement, economic policy, foreign aid, public diplomacy, and homeland defense. If we favor one tool while neglecting others, we leave ourselves vulnerable and weaken our national effort. What should Americans expect from their government? The goal seems unlimited: Defeat terrorism anywhere in the world. But Americans have also been told to expect the worst: An attack is probably coming; it may be more devastating still. Vague goals match an amorphous picture of the enemy. Al Qaeda and other groups are popularly described as being all over the world, adaptable, resilient, needing little higher-level organization, and capable of anything. It is an image of an omnipotent hydra of destruction. That image lowers expectations of government effectiveness. It lowers them too far. Our report shows a determined and capable group of plotters. Yet the group was fragile and occasionally left vulnerable by the marginal, unstable people often attracted to such causes. The enemy made mistakes. The U.S. government was not able to capitalize on them. No president can promise that a catastrophic attack like that of 9/11 will not happen again. But the American people are entitled to expect that officials will have realistic objectives, clear guidance, and effective organization. They are entitled to see standards for performance so they can judge, with the help of their elected representatives, whether the objectives are being met. We propose a strategy with three dimensions: (1) attack terrorists and their organizations, (2) prevent the continued growth of Islamist terrorism, and (3) protect against and prepare for terrorist attacks. Root out sanctuaries.The U.S. government should identify and prioritize actual or potential terrorist sanctuaries and have realistic country or regional strategies for each, utilizing every element of national power and reaching out to countries that can help us. Strengthen long-term U.S. and international commitments to the future of Pakistan and Afghanistan. Confront problems with Saudi Arabia in the open and build a relationship beyond oil, a relationship that both sides can defend to their citizens and includes a shared commitment to reform. Define the message and stand as an example of moral leadership in the world. To Muslim parents, terrorists like Bin Ladin have nothing to offer their children but visions of violence and death. America and its friends have the advantage-our vision can offer a better future. Where Muslim governments, even those who are friends, do not offer opportunity, respect the rule of law, or tolerate differences, then the United States needs to stand for a better future. Communicate and defend American ideals in the Islamic world, through much stronger public diplomacy to reach more people, including students and leaders outside of government. Our efforts here should be as strong as they were in combating closed societies during the Cold War. Offer an agenda of opportunity that includes support for public education and economic openness. Develop a comprehensive coalition strategy against Islamist terrorism, using a flexible contact group of leading coalition governments and fashioning a common coalition approach on issues like the treatment of captured terrorists. Devote a maximum effort to the parallel task of countering the proliferation of weapons of mass destruction. Expect less from trying to dry up terrorist money and more from following the money for intelligence, as a tool to hunt terrorists, understand their networks, and disrupt their operations. Target terrorist travel, an intelligence and security strategy that the 9/11 story showed could be at least as powerful as the effort devoted to terrorist finance. Address problems of screening people with biometric identifiers across agencies and governments, including our border and transportation systems, by designing a comprehensive screening system that addresses common problems and sets common standards. As standards spread, this necessary and ambitious effort could dramatically strengthen the world's ability to intercept individuals who could pose catastrophic threats. Quickly complete a biometric entry-exit screening system, one that also speeds qualified travelers. Set standards for the issuance of birth certificates and sources of identification, such as driver's licenses. Develop strategies for neglected parts of our transportation security system. Since 9/11, about 90 percent of the nation's $5 billion annual investment in transportation security has gone to aviation, to fight the last war. In aviation, prevent arguments about a new computerized profiling system from delaying vital improvements in the "no-fly" and "automatic selectee" lists. Also, give priority to the improvement of checkpoint screening. Determine, with leadership from the President, guidelines for gathering and sharing information in the new security systems that are needed, guidelines that integrate safeguards for privacy and other essential liberties. Underscore that as government power necessarily expands in certain ways, the burden of retaining such powers remains on the executive to demonstrate the value of such powers and ensure adequate supervision of how they are used, including a new board to oversee the implementation of the guidelines needed for gathering and sharing information in these new security systems. Base federal funding for emergency preparedness solely on risks and vulnerabilities, putting New York City and Washington, D.C., at the top of the current list. Such assistance should not remain a program for general revenue sharing or pork-barrel spending. Make homeland security funding contingent on the adoption of an incident command system to strengthen teamwork in a crisis, including a regional approach. Allocate more radio spectrum and improve connectivity for public safety communications, and encourage widespread adoption of newly developed standards for private-sector emergency preparedness-since the private sector controls 85 percent of the nation's critical infrastructure. The strategy we have recommended is elaborate, even as presented here very briefly. To implement it will require a government better organized than the one that exists today, with its national security institutions designed half a century ago to win the Cold War. Americans should not settle for incremental, ad hoc adjustments to a system created a generation ago for a world that no longer exists. Our detailed recommendations are designed to fit together. Their purpose is clear: to build unity of effort across the U.S. government. As one official now serving on the front lines overseas put it to us: "One fight, one team." The 9/11 story teaches the value of integrating strategic intelligence from all sources into joint operational planning-with both dimensions spanning the foreign-domestic divide. In some ways, since 9/11, joint work has gotten better. The effort of fighting terrorism has flooded over many of the usual agency boundaries because of its sheer quantity and energy. Attitudes have changed. But the problems of coordination have multiplied. The Defense Department alone has three unified commands (SOCOM, CENTCOM, and NORTHCOM) that deal with terrorism as one of their principal concerns. Much of the public commentary about the 9/11 attacks has focused on "lost opportunities." Though characterized as problems of "watchlisting," "information sharing," or "connecting the dots," each of these labels is too narrow. They describe the symptoms, not the disease. Breaking the older mold of organization stovepiped purely in executive agencies, we propose a National Counterterrorism Center (NCTC) that would borrow the joint, unified command concept adopted in the 1980s by the American military in a civilian agency, combining the joint intelligence function alongside the operations work. The NCTC would build on the existing Terrorist Threat Integration Center and would replace it and other terrorism "fusion centers" within the government. The NCTC would become the authoritative knowledge bank, bringing information to bear on common plans. It should task collection requirements both inside and outside the United States. The NCTC should perform joint operational planning, assigning lead responsibilities to existing agencies and letting them direct the actual execution of the plans. Placed in the Executive Office of the President, headed by a Senate-confirmed official (with rank equal to the deputy head of a cabinet department) who reports to the National Intelligence Director, the NCTC would track implementation of plans. It would be able to influence the leadership and the budgets of the counterterrorism operating arms of the CIA, the FBI, and the departments of Defense and Homeland Security. The NCTC should not be a policymaking body. Its operations and planning should follow the policy direction of the president and the National Security Council. Since long before 9/11-and continuing to this day-the intelligence community is not organized well for joint intelligence work. It does not employ common standards and practices in reporting intelligence or in training experts overseas and at home. The expensive national capabilities for collecting intelligence have divided management. The structures are too complex and too secret. The community's head-the Director of Central Intelligence-has at least three jobs: running the CIA, coordinating a 15-agency confederation, and being the intelligence analyst-in-chief to the president. No one person can do all these things. A new National Intelligence Director should be established with two main jobs: (1) to oversee national intelligence centers that combine experts from all the collection disciplines against common targets- like counterterrorism or nuclear proliferation; and (2) to oversee the agencies that contribute to the national intelligence program, a task that includes setting common standards for personnel and information technology. The national intelligence centers would be the unified commands of the intelligence world-a long-overdue reform for intelligence comparable to the 1986 Goldwater-Nichols law that reformed the organization of national defense. The home services-such as the CIA, DIA, NSA, and FBI-would organize, train, and equip the best intelligence professionals in the world, and would handle the execution of intelligence operations in the field. The NID should receive a public appropriation for national intelligence, should have authority to hire and fire his or her intelligence deputies, and should be able to set common personnel and information technology policies across the intelligence community. The CIA should concentrate on strengthening the collection capabilities of its clandestine service and the talents of its analysts, building pride in its core expertise. Secrecy stifles oversight, accountability, and information sharing. Unfortunately, all the current organizational incentives encourage overclassification. This balance should change; and as a start, open information should be provided about the overall size of agency intelligence budgets. The U.S. government has access to a vast amount of information. But it has a weak system for processing and using what it has. The system of "need to know" should be replaced by a system of "need to share." The President should lead a government-wide effort to bring the major national security institutions into the information revolution, turning a mainframe system into a decentralized network. The obstacles are not technological. Official after official has urged us to call attention to problems with the unglamorous "back office" side of government operations. But no agency can solve the problems on its own-to build the network requires an effort that transcends old divides, solving common legal and policy issues in ways that can help officials know what they can and cannot do. Again, in tackling information issues, America needs unity of effort. Unity of Effort: Congress Congress took too little action to adjust itself or to restructure the executive branch to address the emerging terrorist threat. Congressional oversight for intelligence-and counterterrorism-is dysfunctional. Both Congress and the executive need to do more to minimize national security risks during transitions between administrations. For intelligence oversight, we propose two options: either a joint committee on the old model of the Joint Committee on Atomic Energy or a single committee in each house combining authorizing and appropriating committees. Our central message is the same: the intelligence committees cannot carry out their oversight function unless they are made stronger, and thereby have both clear responsibility and accountability for that oversight. Congress should create a single, principal point of oversight and review for homeland security. There should be one permanent standing committee for homeland security in each chamber. We propose reforms to speed up the nomination, financial reporting, security clearance, and confirmation process for national security officials at the start of an administration, and suggest steps to make sure that incoming administrations have the information they need. We have considered several proposals relating to the future of the domestic intelligence and counterterrorism mission. Adding a new domestic intelligence agency will not solve America's problems in collecting and analyzing intelligence within the United States. We do not recommend creating one. We propose the establishment of a specialized and integrated national security workforce at the FBI, consisting of agents, analysts, linguists, and surveillance specialists who are recruited, trained, rewarded, and retained to ensure the development of an institutional culture imbued with a deep expertise in intelligence and national security. At several points we asked: Who has the responsibility for defending us at home? Responsibility for America's national defense is shared by the Department of Defense, with its new Northern Command, and by the Department of Homeland Security.They must have a clear delineation of roles, missions, and authority. The Department of Defense and its oversight committees should regularly assess the adequacy of Northern Command's strategies and planning to defend against military threats to the homeland. The Department of Homeland Security and its oversight committees should regularly assess the types of threats the country faces, in order to determine the adequacy of the government's plans and the readiness of the government to respond to those threats. We call on the American people to remember how we all felt on 9/11, to remember not only the unspeakable horror but how we came together as a nation-one nation. Unity of purpose and unity of effort are the way we will defeat this enemy and make America safer for our children and grandchildren. We look forward to a national debate on the merits of what we have recommended, and we will participate vigorously in that debate.